Wedding rings are worn on the right hands of the bride and groom. 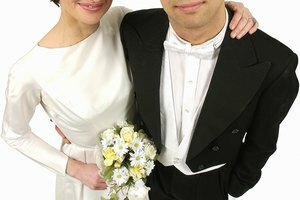 Marriage is one of the seven sacraments performed in the Coptic Orthodox Church. It is not only a legal agreement but a spiritual one as well. When a man and wife marry, they begin their own "church" within their home to teach the ideology and theology of Christianity to their children. Coptic marriage ceremonies and rituals have changed little over the centuries. The primary purpose of marriage is to procreate and to attain an advanced level of spiritual understanding within the family. “Crowning” became part of the Coptic Orthodox marriage ceremony during the fourth century. 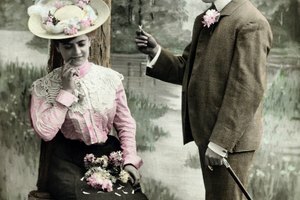 During this time, marriage was seen as a legal or civil contract having little to do with the church. Though it was recognized by the church, it was more a matter of the state. Crowning took place during the wedding ceremony at the time of the Eucharist. It was a symbolic gesture proving victory over bodily passions or physical contact. By the ninth century, crowning became a separate part of the ceremony, emphasizing the importance of spirituality in marriage. Another Coptic Orthodox marriage custom that is still around today is based on the book of Tobit. According to Coptic Cairo: "Tobit married several times and each time her husband was killed by the devil on the first night of their marriage. Tobit attained a very bad reputation and people started gossiping about her. When Tobit married Tobia, her father and husband prayed to God to protect this marriage. One day the angel Raphael appeared to Tobia and told him to pray and fast for three days to protect himself and his wife from the evil." The story of Tobit led to a tradition within the Coptic Orthodox Church of newly married couples spending the first three days of marriage praying, fasting and abstaining from physical contact. Contemporary Coptic Orthodox weddings are performed in a church; however, this was not always true. 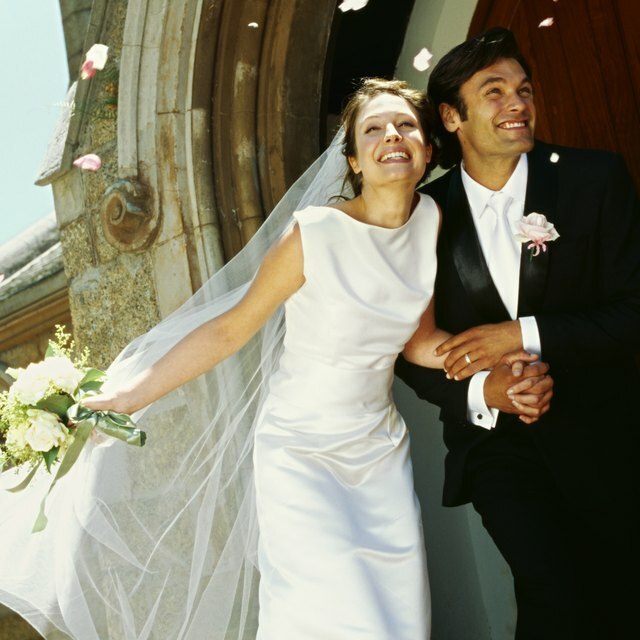 Brides and grooms used to have the choice of having their ceremony performed at home until it became official that a marriage must be conducted within the four walls of a church. The contemporary ceremony has changed little over the centuries. The bride sits to the right of the groom and the bridesmaids hold candles throughout the ceremony, which represents the lamps of the five wise maidens of the Bible. Incense is used, and praying is abundant. A robe is put on the groom to symbolically suggest he has become the priest of his house. Rings are exchanged, and the right hands of the bride and groom are joined to secure their union. Katharine Viola lives just north of Philadelphia and has been writing cultural articles and papers since her time at Penn State University. Additionally she has completed a Masters thesis at New York University, where she recieved a degree in visual culture with a concentration on historical fashion. Viola, Katharine. "The History of Coptic Orthodox Marriage Rituals." Synonym, https://classroom.synonym.com/the-history-of-coptic-orthodox-marriage-rituals-12087848.html. 29 September 2017.